WASHINGTON — The U.S. Supreme Court has agreed to hear a case surrounding a World War I veterans memorial that had been challenged by the American Humanist Association as being unconstitutional. The nation’s highest court announced on Friday that it had accepted an appeal in the case of The American Legion et al. v. American Humanist Association et al., which potentially could save the Maryland monument from being torn down. The Fourth Circuit Court of Appeals had ruled last year that the military tribute crosses the line into government endorsement of Christianity. 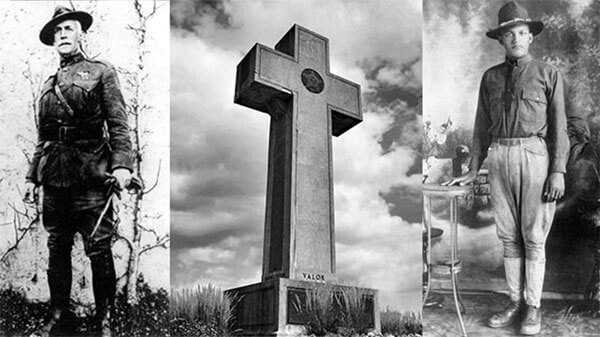 As previously reported, the Bladensburg memorial, also known as the “peace cross,” was erected in 1925 by The American Legion to honor the lives of 49 men from Prince George County who died during the war. AHA then filed an appeal with the Fourth Circuit Court of Appeals, which ruled 2-1 in October 2017 that the veterans memorial is unconstitutional. It said that because there are no other religious symbols in the park, the memorial sends the message that the government favors Christianity over other religions and “excessively entangles” the government with religion. “Although the reasonable observer may recognize that the cross is located in the Veterans Memorial Park, such reasonable observer also could not help but note that the cross is the most prominent monument in the park and the only one displaying a religious symbol,” wrote Judge Stephanie Thacker, nominated to the bench by then-President Barack Obama. Judge Roger Gregory, nominated by then-President Bill Clinton, dissented, opining that most observers would simply consider the display as a veterans memorial and not the promotion of religion. He noted that the courts have ruled that it is not necessary to scrub all traces of religion from public life in order to remain neutral. A request for an en banc—or full appeals court—rehearing was denied, but not without strong dissent from Judge Paul Neimeyer, appointed to the bench by then-President Ronald Reagan. “The panel … will now have the monument removed or destroyed because, as it concludes, its presence on public land amounts to a violation of the Establishment Clause, although no Supreme Court case has ever held that the Establishment Clause prohibits such monuments,” he lamented. According to The Washington Post, more than 100 members of Congress joined an amicus brief to the U.S. Supreme Court in support of the cross memorial, as did Maryland Gov. Larry Hogan and Attorney General Brian Frosh. The religious liberties organization Alliance Defending Freedom (ADF) also submitted a brief on behalf of several veterans groups, including Patriot Outreach, The Edwin A. Schumacher Marine Corps League, Detachment 740; The Society of 40 Men and 8 Horses Voiture 1543, and Maj. Gen. Patrick Brady (U.S. Army, retired). “Because the less-religious alternative standard naturally whitewashes religious symbols from the public square, this court should grant certiorari and reaffirm that the Establishment Clause ‘does not oblige government to avoid any public acknowledgement of religion’s role in society,’ and that it does not ‘require eradication of all religious symbols in the public realm,'” the brief read in part. Attorneys for The American Legion have expressed satisfaction that the U.S. Supreme Court has now agreed to hear the case.